The Russian Navy’s airborne arsenal is to receive a major boost in the form of both drones and combat aircraft, a top commander has revealed. A variety of ship-based unmanned aerial vehicles (UAVs) are currently being developed for the Russian Navy’s naval aviation division, Major General Igor Kozhin said on Monday. “One of the prospective directions for specialists of leading design bureaus is research and design aimed at creating an unmanned ship-based aircraft,” the navy’s aviation chief told reporters, without giving away any specific details. The introduction of the drones is part of an overall modernization of the navy’s aerial fleet, which is also set to swap some of its older aircraft for newer models. “In particular, the carrier-based fighter aviation units will get MiG-29K and MiG-29KUB fighter jets in 2017-2020,” Kozhin explained. The MiG-29K and MiG-29KUB are both fourth-generation fighter jets with a huge degree of maneuverability and high-precision weaponry, allowing them to hit their targets regardless of weather conditions or time of day, but they will not be the only additions. 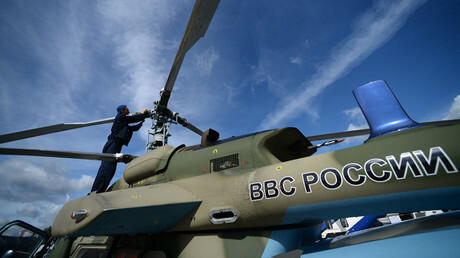 All in all, Kozhin said, the navy will receive around a hundred new aircraft over the next few years. “In accordance with the existing program of modernization and renewal of the naval aviation aircraft fleet, about 100 new aircraft will enter service before 2020,” he said. At present, the Admiral Kuznetsov is Russia’s only aircraft carrier. It is currently based in the eastern Mediterranean where it is helping carry out anti-terrorist operations in Syria. The ship carries Su-33 fighter jets along with Ka-27 and Ka-27S helicopters for anti-submarine warfare. 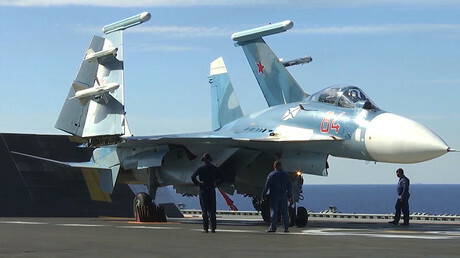 Unlike other aircraft carriers, the Admiral Kuznetsov also serves as a missile cruiser, as it is equipped with Kinzhal (Dagger) missiles that it can use to protect itself from incoming aerial attacks, as well as enemy warships.